The workshop is organized by the United Nations Statistics Division (UNSD) in collaboration with Statistical, Economic and Social Research and Training Centre for Islamic Countries (SESRIC). This workshop aims to help countries in achieving a common and improved understanding of the process of adopting new technologies/methodologies in conducting population and housing censuses and collecting data according to internationally recommended definitions and classifications. This workshop will also provide a platform to discuss good practices among OIC member countries and potential challenges and risks that have to be taken into consideration for the successful adoption of contemporary technologies in censuses. The United Nations Statistics Division will co-organize, with United Nations Economic Commission for Africa, African Development Bank, African Union Commission and UNFPA a Conference on Assessment of 2010 Round of Population and Housing Censuses in Africa that will take place in Pretoria, South Africa, 29 April - 1 May 2013. The Conference will aim at taking stock of the population and housing censuses in Africa in the period 2005-2014 and provide a regional input for a global assessment of the census round. As part of its programme on the 2010 World Population and Housing Census Programme, UNSD will participate in and contribute to the Seminar on Population and Housing Census Practices of the OIC Member Countries. The objective of the Seminar is to discuss lessons learnt and share national experiences in innovations and best practices in census taking for the 2010 round in the Member States of the OIC. The Seminar will also provide a discussion forum for the countries on the likely future of their censuses for the 2020 round and on ways to enhance future cooperation among the Member States in census taking. Within the framework of the 2010 World Programme on Population and Housing Censuses, the United Nations Statistics Division will conduct a Regional Workshop on Population Projections for English Speaking African Countries, in Pretoria, South Africa, from 29 October - 2 November 2012. The purpose of the workshop is to provide training to statisticians from national statistical authorities in Africa in producing projections of population based on census results. UNSD, in collaboration with the the Direction de la Statistique, Haut Commissariat au Plan du Maroc, is organizing a workshop on population projections for French speaking African countries. The objectives of the workshop are to strengthen the technical capacity of the participating countries to generate population projections at different geographical levels and sectors. The workshop will also provide the forum to discuss national practices and to exchange experiences and lessons learned among the participating countries. Participants will also learn about available software packages for generating population projections. Organized by the United Nations Statistics Division (UNSD) in collaboration with the Cambodia National Institute of Statistics, the workshop is aimed at training staff at the national statistical office in the full potential of CensusInfo as a platform for disseminating census data at any geographical level. The workshop is intended to develop the national CensusInfo application, with accompanying databases and customized features; it will involve fifteen professionals from the NIS. The workshop is part of the series of national training workshops developed by UNSD aiming at developing and putting in place national CensuInfo applications for dissemination of population and housing census statistics using contemporary technology. The United Nations Statistics Division is organizing a Workshop for South Asian countries on Collection and Dissemination of Socio-economic Data from Population and Housing Censuses. The workshop will take place in New Delhi, India from 28 to 31 May 2012. The purpose of the workshop is to present international standards and country practices for conducting population and housing censuses with a focus on recommended core topics and tabulations as identified in the United Nations Principles and Recommendations for Population and Housing Censuses, Revision 2. The workshop will also offer an opportunity to discuss the use of technological tools and of GIS web-based mapping and spatial analysis in the dissemination of census data as well as of the CensusInfo software as a tool for data dissemination. Lastly, the workshop will also provide a forum for sharing of national practices and experiences regarding determination of census topics and tabulations and also strategies for dissemination of census data. The United Nations Statistics Division (UNSD) in collaboration with the Liberia Institute of Statistics and Geo-Information Services (LISGIS) will organize a National Seminar on Census Data Analysis in the context of the 2010 World Programme for Population and Housing Censuses. The purpose of the Seminar is to assist the LISGIS on undertaking in-depth analysis of census data to produce an analytical report on the selected topics. The national seminar will cover the following topics: (i) youth and internal migration and (ii) employment and education. During the national seminar, the staff of LISGIS will attend the lectures on the topics of focus and engage in preliminary data analyses of 2008 census data. After the seminar, participants are expected to produce thematic analytical reports, based on analyses generated during the seminar. Organized by the United Nations Statistics Division (UNSD) in collaboration with the Office of the Registrar General and Census Commissioner of India, the Regional Workshop on CensusInfo will take place in New Delhi, India from 28 to 30 November 2011. Representatives of about 20 countries from the Asian region are expected to participate in the workshop. The workshop is intended to provide a forum for sharing national practices and experiences in the dissemination of census data as well as highlight CensusInfo’s potential as a platform for disseminating census data at any geographical level. The workshop will demonstrate the various processes involved in the adaptation of CensusInfo, including the preparation of CensusInfo template and database, importing data, language translation and customization of the software package. The workshop sessions will also include hands-on training on using the CensusInfo User Interface and Database Administration applications. The United Nations Statistics Division (UNSD) in cooperation with the Cambodian Institute of Statistics will organize a Workshop on Census Data Evaluation from 14 to 17 November 2011 in Phnom Penh, Cambodia. This workshop will be organized within the framework of the UN/DESA Development Account project for strengthening the statistical capacity of countries in South-East Asia. The objectives of the workshop are to strengthen the technical capacity of the participating countries to identify types of errors in census data and to apply methods of evaluating the quality of census data. Representatives from national statistical offices of Cambodia, Lao People’s Democratic Republic, Myanmar, Timor-Leste and Viet Nam are invited to the workshop. The workshop will also provide the forum to discuss national practices and to exchange experiences and lessons learned among the participating countries. The Burkina Faso National Seminar on Census Data Analysis is scheduled to be held from 14 to 16 November in Ouagadougou, Burkina Faso. The main objective of the national seminar is to provide an opportunity for the staff member of the Burkina Faso Institut National de la Statistique et de la Démographie to further analyze data from the 2006 population and housing census of Burkina Faso on selected topics. The ultimate objective is to promote greater analysis and dissemination of the data collected from the 2006 census. The national seminar will cover the following topics: (i) population projections at municipal level, (ii) analysis of data on migration, and (iii) analysis of data on educational characteristics. After the seminar, participants are expected to produce thematic analytical reports, based on analyses generated during the seminar. UNSD is organizing a National CensusInfo Training in collaboration with Central Bureau of the Census and Population Studies (BUCREP). This training is intended to develop the national census technical teams’ capacities to adapt CensusInfo, to its full potential as platform for disseminating census data. Participants will learn various processes involved in the adaptation of CensusInfo including preparation of CensusInfo template and database, standard report and profile templates, language translation and packaging the software The sessions also includes hands-on training on using CensusInfo User Interface and Database Administration applications, designing and creating templates and databases to house country-specific census data, learning various data administration utilities including importing census data to facilitate uploading of data into the CensusInfo system, and generating relevant tables, graphs, maps, reports and profiles for reporting purposes. UNSD is organizing a National CensusInfo Training in collaboration with INEGI Mexico. This training is intended to develop the national census technical teams’ capacities to adapt CensusInfo, to its full potential as platform for disseminating census data. Participants learn various processes involved in the adaptation of CensusInfo including preparation of CensusInfo template and database, standard report and profile templates, language translation and packaging the software The sessions also includes hands-on training on using CensusInfo User Interface and Database Administration applications, designing and creating templates and databases to house country-specific census data, learning various data administration utilities including importing census data to facilitate uploading of data into the CensusInfo system, and generating relevant tables, graphs, maps, reports and profiles for reporting purposes. UNSD, in collaboration with the CARICOM Secretariat, is organizing a Regional Workshop for countries in the region on census editing in the context of the 2010 World Programme for Population and Housing Censuses. The purpose of the workshop is to develop capacities of CARICOM national statistical offices (NSOs) with the techniques and procedures used in editing population and housing census data. The Workshop will cover elements of edit specifications and implementing the specifications in CSPro. The Workshop will also offer the possibility to the participants to present and discuss the experience of their countries on different aspects of census editing. The workshop will be very hands-on, using the common core census questionnaire shared by many CARICOM member countries and sample data from some countries. Participants will be trained well enough to implement standard census edits at the workshop and be able to customize them after they return home. UNSD is organizing a National CensusInfo Training in collaboration with the National Statistical Office, Malawi. This training is intended to develop the national census technical teams’ capacities to adapt CensusInfo to its full potential as platform for disseminating census data. Participants will learn various processes involved in the adaptation of CensusInfo including preparation of CensusInfo template and database, standard report and profile templates, language translation and packaging the software. The sessions also include hands-on training on using CensusInfo User Interface and Database Administration applications, designing and creating templates and databases to house country-specific census data, learning various data administration utilities including importing census data to facilitate uploading of data into the CensusInfo system, and generating relevant tables, graphs, maps, reports and profiles for reporting purposes. The United Nations Statistics Division, in partnership with UNICEF and UNFPA, has developed a free software package, CensusInfo, to help countries disseminate census data on CD-ROM and on the web. 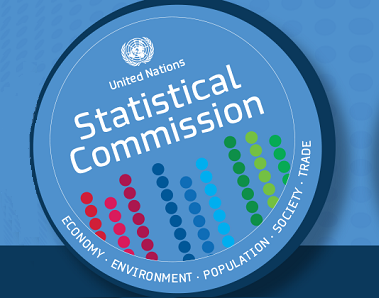 CensusInfo was officially launched at the 40th session of the Statistical Commission in February 2009 and is available on-line. The overall purpose of the UNSD Workshop, to be held in Bamako (Mali), is to develop participants’ capacities to use CensusInfo to its full potential as a platform for disseminating census data. The workshop has been designed using an outcome-based training methodology consisting of a series of demonstrations followed by practical exercises. The sessions include designing and creating templates and databases to house country-specific census data, learning various data administration utilities including data exchange to facilitate uploading of data into the CensusInfo system, and generating relevant tables, graphs, maps, reports and profiles for reporting purposes. The workshop will be conducted in French in AFRISTAT facilities in Bamako, Mali, from 30 November to 4 December 2009, and attended by French-speaking countries from Africa. The United Nations Statistics Division (UNSD), in collaboration with the Instituto Nacional de Estatística of Mozambique, is organizing a Regional Workshop on CensusInfo in the context of the 2010 World Programme for Population and Housing Censuses. The Workshop will take place from 10-13 November 2009 in Maputo, Mozambique. The United Nations Statistics Division, in partnership with UNICEF and UNFPA, has developed a free software package, CensusInfo to help countries disseminate census data on CD-ROM and on the web. CensusInfo offers specific functionalities to enhance census data dissemination, including a user-friendly interface, template reports for presentation of data at any geographical level, as well as graphing and mapping facilities. CensusInfo can be customized, in terms of the graphical layout, the list of statistics/indicators and geographical levels for data presentation. CensusInfo was officially launched at the 40th session of the Statistical Commission in February 2009 and is available on-line. The overall purpose of the Workshop is to develop participants’ capacities to use CensusInfo to its full potential as a platform for disseminating census data. The workshop has been designed using an outcome-based training methodology consisting of a series of demonstrations followed by practical exercises. The sessions include designing and creating templates and databases to house country-specific census data, learning various data administration utilities including data exchange to facilitate uploading of data into the CensusInfo system, and generating relevant tables, graphs, maps, reports and profiles for reporting purposes. The United Nations Statistics Division (UNSD), in collaboration with the CARICOM Secretariat, is organizing a Regional Workshop on CensusInfo in the context of the 2010 World Programme for Population and Housing Censuses. The Workshop will take place from 12-15 October 2009 in Georgetown, Guyana. The United Nations Workshop on Census Management for ESCWA Countries was coorganized by the United Nations Statistics Division (UNSD) and the Economic and Social Commission for Western Asia (ESCWA) and hosted by the Central Statistical Organization (CSO) of the Republic of Yemen. The workshop was conducted during the period 12 – 23 July 2003 and had the following objectives: to train participants on census management to successfully conduct population censuses as part of statistical capacity building in the ESCWA region; and, to exchange experience among countries that had already conducted their censuses and countries that are in the process of planning and conducting their population and housing censuses. Training was based on the United Nations Handbook on Census Management for Population and Housing Censuses.